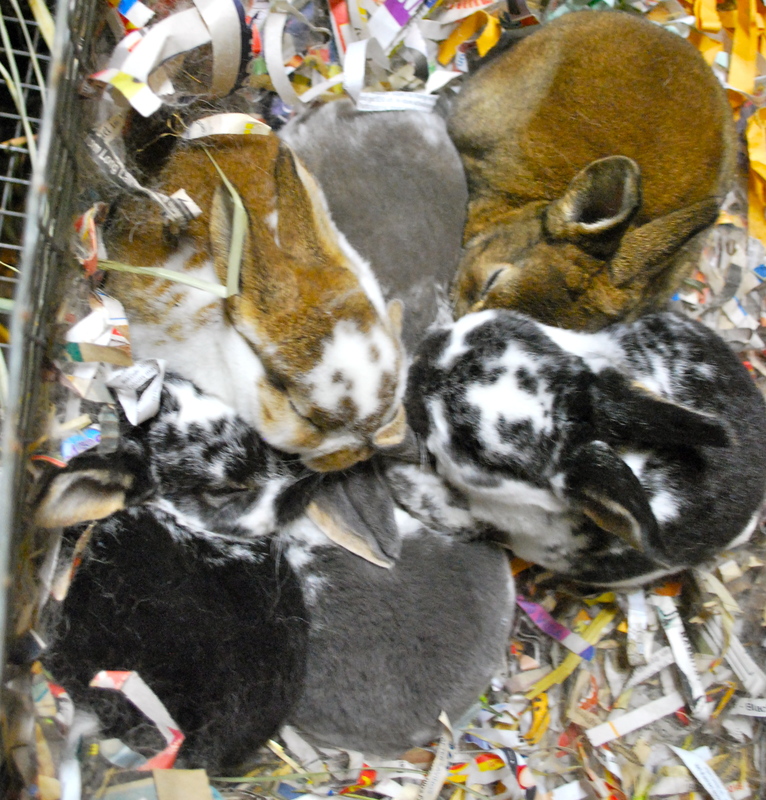 These bunnies are just about three weeks old now, and very cute. They’re starting to nibble on hay and are adept at jumping out of the nestbox to pester their mothers. Ironically it seems that my opal doe gave me blues and my blue doe gave me opals. You can see in the above photo two solid opal kits as well as a broken blue. The opals have the tan undercoat that peeks through the blue while the broken blue does not. There are also two black otter kits, a broken castor and a broken opal pictured above. These are Bluefin’s babies. This is Opal’s litter. The solid castor kit seems to be a doe, which basically means I have to keep her. The Rex castor coat is just to die for. Also pictured are two broken blues, two broken black otters and a broken castor. Such cute! 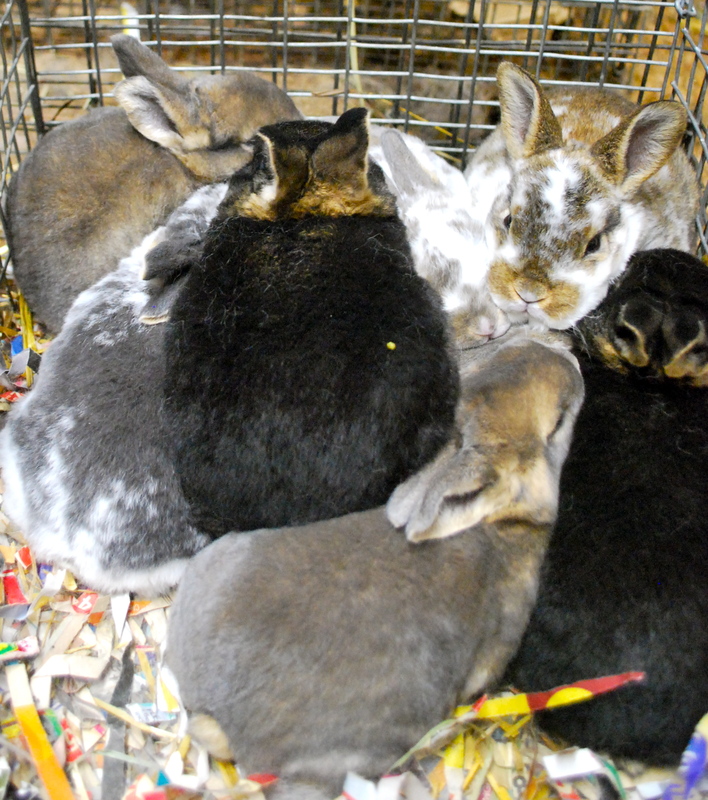 This entry was posted in rabbits and tagged standard rex. Bookmark the permalink. Aww, they are getting really big!